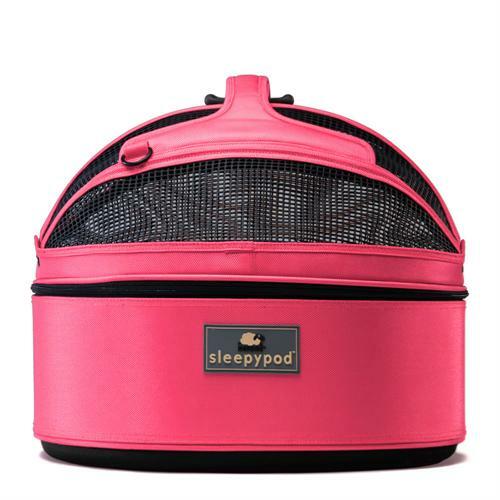 I have two cat carriers... one that is ideal for long car rides, the other that is ultra-portable and designed to fit under airplane seats. 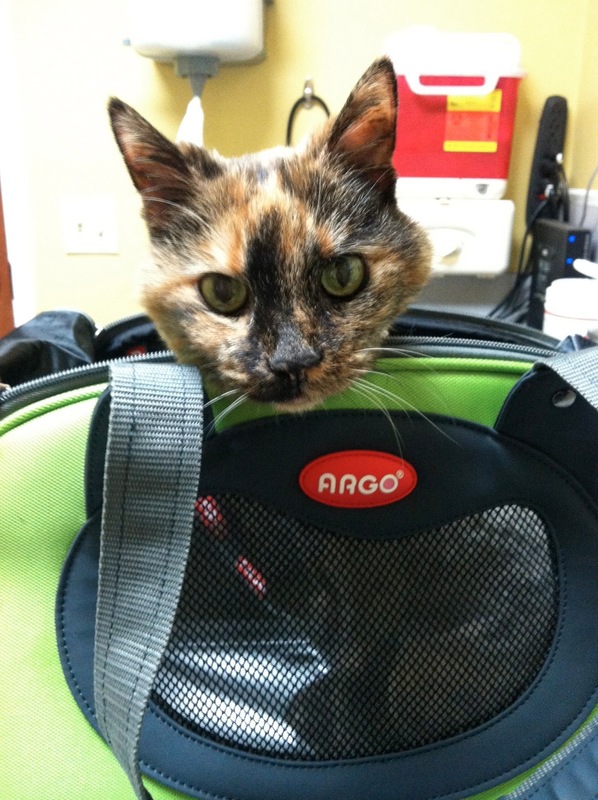 Cally is a petite cat, so she has always fit into small carriers without issue. That said, she has endured all-day car rides a few times, as I moved from Indiana to Georgia to Tennessee. That is why I invested (it's a high price!) in the Sleepypod. I liked the cushioned interior (which is removable and washable) that made it seem like a bed. I also liked how it could be buckled into a car to keep her safe while in motion. My smaller carrier, the Argo by Teafco Petaboard, is a much more affordable option. It's very collapsible when you're not using it (perfect for apartment dwellers!) but big enough for a cat to stand (almost fully) and move around within it. 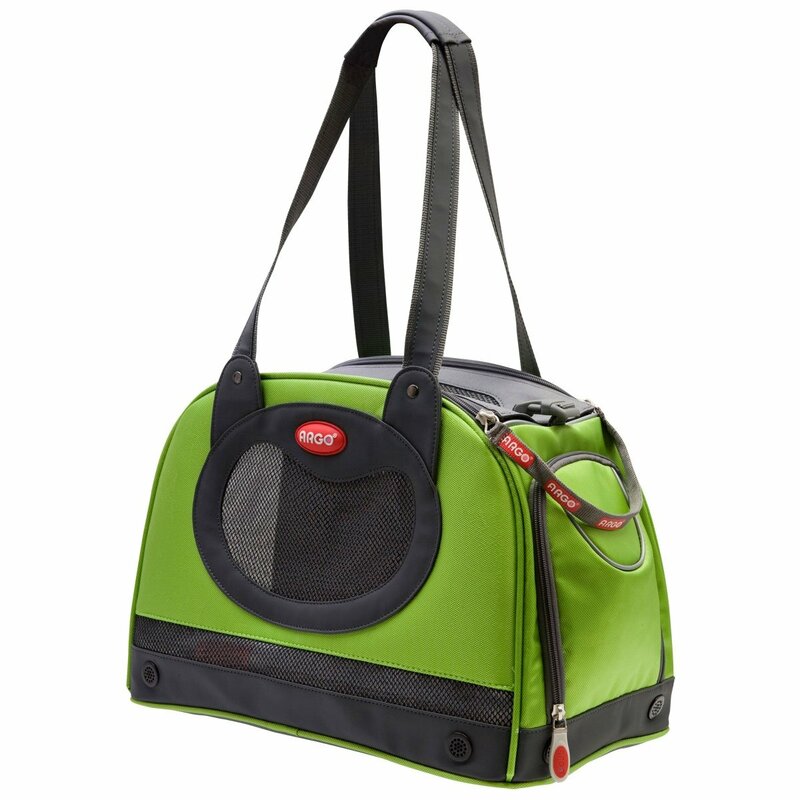 This carrier is made for a pet 12lbs. or less, so it may not be an option for larger kitties. (Cally has never been over 12lbs., she is small-boned!) But I like that in a pinch, this is approved to fit under an airline seat. Cally hasn't flown before, but I like the option. I actually have two of these Argo carriers (one was meant for sweet Barley) for when I'm ready for a second cat. It occurred to me that I might take both pets into the vet at the same time (multitasking!) so I wanted to have it for that reason. These are the most adorable carriers I have ever seen! Living in NJ with our family in MA my cat has had to deal with numerous 4-hour car rides (he comes home with us every time we go)! He has one of the Sherpa bags, which does the job, but it's pretty boring to look at! I love them! I didn't choose pink for the new Argo because my boyfriend didn't like carrying it into the vet LOL. But I like the bright colors because then I'm less likely to forget it. That said, Cally HATES the car. She cries the whole time. I'd travel with her to my parents' if I could! When we are ready for a new kitten, we will train her to travel with us I think.